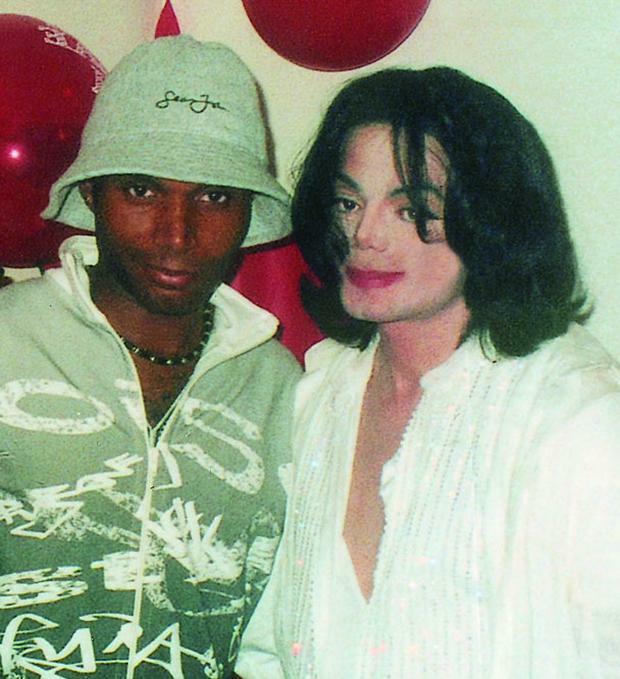 Adrian Grant was a fan turned friend of the late Michael Jackson, from their first meeting in 1991 until the singer's death in 2009. He tells Independent.ie about Thriller Live, the theatrical stage show he created to celebrate four decades of the star's music (which comes to the Gaiety next week), and why he set it up in the wake of Jackson being cleared of sexual abuse allegations in 2005. 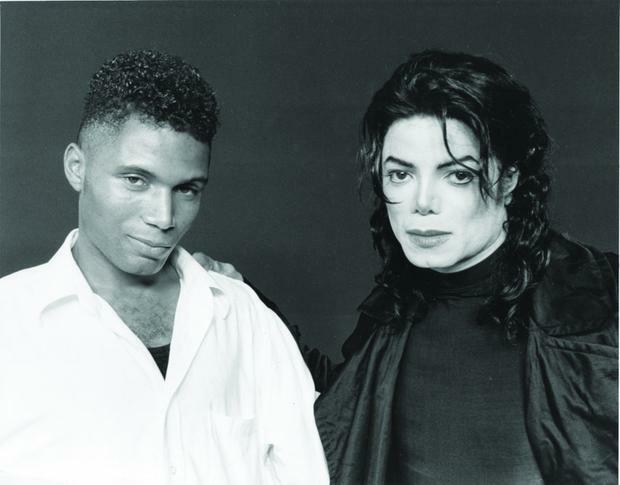 Grant founded the first Michael Jackson fanzine, Off the Wall, in 1988 and three years later Jackson invited him to LA to his recording studio where he was recording the Dangerous album. "The moment I met him he had a massive smile and walked in the room singing," reveals Adrian. "He thanked me for doing the magazine and I thanked him for all the work he had done. We got on really well. He was very open with me and very giving of his time. He allowed me to take pictures for the magazine and invited me to his own ranch for lunch at the weekend. I went to his ranch and it was a big fairytale place with classical music playing in the flowerbed, chimpanzees rolling around the grass, a giraffe, llamas, a zoo, a funfair. I said to the security guard, 'this isn't real' and he said, 'this is real for Michael Jackson - this is what he wakes up to every day'. He was very down to earth, a big kid at heart, lots of fun. I used to go back every year thereafter and our relationship blossomed." Adrian puts their bonding down to the fact he "didn't treat him like a big superstar". "I was young and maybe a bit naive and when I look back I think it was amazing that I got to hang out with the greatest entertainer in the world, but I didn't think of it like that at the time. I was working. I was writing something on behalf of the fans. Michael was very giving to me because of the fans and I appreciate that. He adored his fans." On another visit Adrian spent time with Jackson while he worked on the History album. He feels privileged to have witnessed him recording in studio and his creative process. "I think Michael Jackson is somewhat underrated as a musician and a songwriter," he says. "I'm so grateful I got to see him work in the studio because he really was a genius. He was a perfectionist. Watching him work, someone who had been recording since the age of 8 or nine, he knew his way around the studio like the back of his hand. He knew every instrument, every piece of equipment, he had full command of the studio. To see him compose and create was a privilege." He adds, "He was always pushing himself to do better and his creative process was amazing. I remember being at lunch with him in Neverland one day and he was talking to his musicians about certain sounds he wanted on certain songs and the detail he would go into was incredible. It was really second nature to him." In the early 90s the fan club ran the Michael Jackson Day tribute show annually, attracting fans from all over the world. In 2001 Jackson attended the event, revelling in adoration of the fans, many of whom had dressed up in MJ costumes in honour of their idol. That's when the idea for creating a theatrical show "like ABBA: The Musical" came to Adrian. However, then came a series of allegations of child sexual abuse against Jackson, however. Of that time, and those allegations, Adrian says, "The Michael Jackson I knew and had got to know, he was a big kid at heart. It's such a shame that someone would take advantage of his kind spirit and use what he loved against him, his love for children. He wanted to give so much back and ultimately it was used against him. In the end some of it was naivety on his part. Also he was an innocent person. He was being genuine and people were able to twist that for their own gain." "When Michael was cleared of the allegations against him, and was vindicated, and rightly so, I wanted to bring people back to his music," says Adrian. "They had been reading crazy headlines about him so I wanted to remind people what a great showman he was. We had our first show in 2006." However, he admits that some theatres did not initially want to book the show, because of the allegations, and fear of negative public reaction. Even so it went on to become a massive West End hit. More than a decade later it has toured the world and been seen by 4.7m people. When Jackson died suddenly in 2009, Adrian considered stopping the show, but decided it was the ultimate tribute to his friend and star whose death "felt very personal" at the time. "I couldn't believe it. I didn't absorb the news for a few days," he says of Jackson's death. "At first I thought he had just collapsed or was ill. My first thoughts were for his children, his daughter and his sons, his mother and the family. I thought we'd have to cancel the show out of respect for Michael. But there was such an outpouring from the fans and general public and the Lyric Theatre [in London's West End where Thriller Live was playing] became a shrine to Michael, with thousands of messages outside, I thought the show has to go on. It felt like something to remember Michael by and it still does that today. For me I'm just privileged to be able to continue the show. He's still with me every single day. His spirit lives on through his music. For me it's almost like he's still here which is crazy to say." The show itself features a rolling roster of performers - singers and dancers. The most difficult aspect of putting a stage show celebrating Michael Jackson is casting the part of Michael Jackson. In fact, it's impossible. "Casting the show is the most difficult part of the process. Michael was a perfectionist himself so finding people to sing his songs and who can obviously move as well it's very difficult," admits Adrian. However, it's not an impersonation or tribute show so there is not just one performer playing Michael - there are four, ranging from a rock version who sings Dirty Diana and Beat it to a female singer who tackles Way You Make Me Feel and Blame It On the Boogie. "We have people showing the different sides of Michael," says Adrian, adding with a laugh, "If we did find somebody who could be Michael Jackson I'm sure they'd be doing their own thing! ".